AshleyNewell.me: Please VOTE for My Team!! And BLOG CANDY!! Please VOTE for My Team!! And BLOG CANDY!! Alright, so by some stroke of luck, my team has made it to the second round of The Greeting Farm's Royal Battle. But we need YOUR vote to keep on going in this contest. So, I've decided to offer up a GOODIE BAG if you vote for our team. I have lots of stuff from CHA and my stash to giveaway. ~For TWO MORE entries: Blog, Facebook, or Tweet about this giveaway. Leave me a link and you will get two additional entries. I don't have a picture of my goodie bag yet as it is Easter and I'm supposed to be hanging out with my family right now. ;) But I'll post one later or maybe tomorrow. you got my vote hun! Voted! This card is so cute. I added it to FB! I would have voted with no goodies, but goodies are REALLY motivating! :-) I voted on the Greeting Farm gallery. 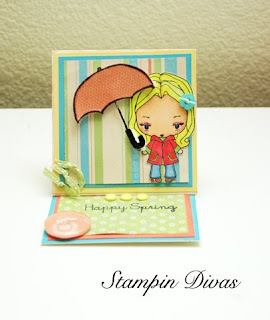 Just posted about your candy giveaway and your card making the next round on my blog. You can see the post here. HAHA!!! I voted and blogged about it here before I knew you were giving away candy!